My husband picked these two beauties from Aliquid Lacquer for me for Christmas. I'm only a little behind on swatching them! lo Saturnalia! is described as "a metallic foil finish with a blend of silver and gold particles, as well as flecks of blue and purple and holographic microglitter and shimmer." Reminds me a little bit of Mirrorball. This is 3 coats. 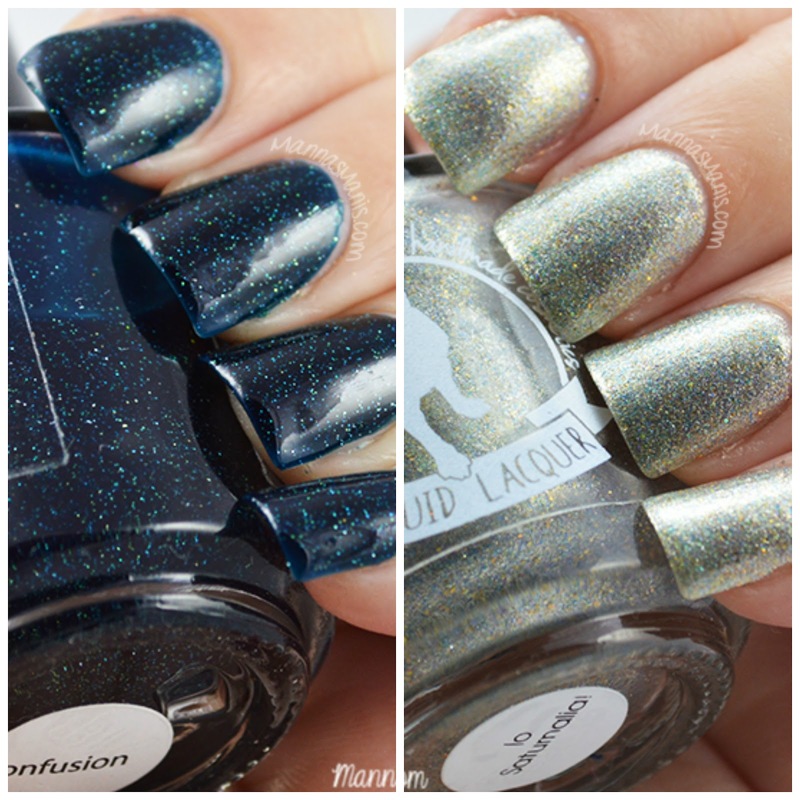 Confusion is described as "a deep teal jelly glittering with loads of silver holographic microglitter" This is 3 coats. Overall, very impressed with my first polishes from Aliquid Lacquer!